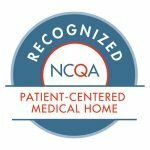 Loudoun Medical Group (LMG) , one of the largest and most diverse physician-owned, multispecialty group practices in Virginia, is seeking an experienced Nurse Practitioner or Physician Assistant to oversee and coordinate the delivery of patient care in a family medicine practice setting in Sterling, Virginia. This position may be part-time or full-time. Professional and caring demeanor with good communication skills. Loudoun Medical Group provides competitive compensation and benefits. This is a great opportunity to work for a thriving healthcare organization that employs over 225 medical providers that serve over 160,000 patients throughout 23 medical and surgical specialties in over 120 clinical locations from Berryville to Alexandria.